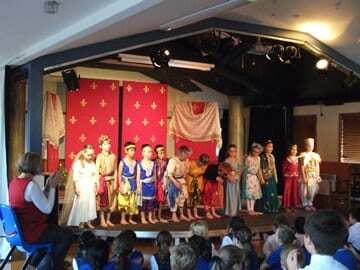 On Wednesday 20 May the students of Class 2 presented an entertaining performance of a play about Spirit. The students’ enthusiasm was exceptional and their enjoyment in portraying their roles was appreciated by the audience which included friends and family. As well as presenting an entertaining play the students were able to convey the message of the strength and importance of spirit. Many thanks go to the team of parents who assisted the Class 2 teacher, Mrs Preston, in the production of the play.